When planning for a vacation, dream journey or family excursion, it never hurts to have a bit of flexibility. In my past three years of wandering and international travel, flexibility has been a key theme. Plans change. Sometimes quickly or unexpectedly. In my global escapades, I have found myself in France one day… and the next being offered a job in South Korea. In a matter of weeks… I rerouted my life back to the United States and began the long process of acquiring a Korean Visa. Ah, flexibility… a good partnership in the exploration of freedom. No matter what your 5th grade teacher or high school boyfriend told you, it’s okay to change your plans or your mind. It’s alright to be flexible. In fact it is essential in the exploration of a created life. For me personally, flexibility does not always come easy. Despite the wide assortment of change in my life, I like to have my plan. This lesson for me often includes some growing pains. But a dose of flexibility goes a long way. 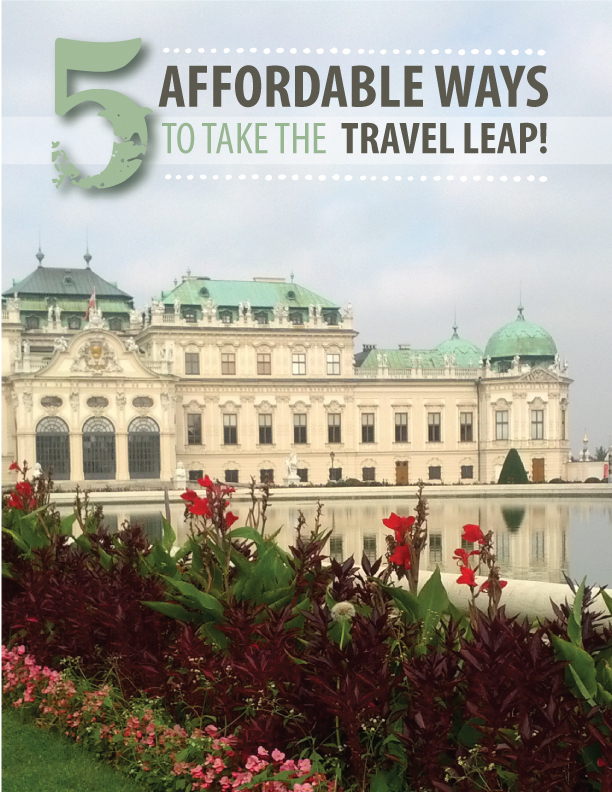 Flexibility and travel plans might seem like an oxymoron. In these days of cheap internet flights and travel deals, flexibility may seem like an antiquated story told by your old Aunt Nellie. But it is possible and often optimal to build a little flexibility into the foundation of your travel plans. Here are a few tips that will help put the flow back in your travels. 1. Get the Facts on Your Flight. Regardless of which search engine or budget travel site you use, before purchasing any airline ticket, take a little time to find out how refundable your flight is. What happens if you cancel? Does it make a difference if you cancel one day or a week before your flight? If you cancel, can you get a full or partial refund? Being informed with facts can put some swagger in your travel foundation should your plans change… for any reason. A ticket that is slightly more expensive, but has a better refund policy may in the end be the better deal. Money Back Guarantee? Some flight search engines and travel sites offer extra insurance and money back guarantees for modest fees. Before checking that purchase box, read the fine print to see be clear about the conditions of that guarantee. Recently I purchased a ticket from Tripsta at an impressively affordable rate. In an effort to support my travel flexibility I purchased the add-on Money Back Guarantees and Premium services. When my plans changed and I wanted to cancel, I was disappointed to learn that the guarantee was only under certain circumstances (death, hospitalization, alien takeover…). And so, while I did get a partial refund for my ticket, it would have served me well to get 100% clear about these services before making my purchase. 2. Know the Cancellation Policy of Your Accommodation. When it comes to accommodation I am always looking for the best balance of affordability and quality. I have only recently discovered how important a location’s cancellation policy is when weighing its pros and cons. Yes it may have everything I am looking for, but how much do I pay if I cancel one day or five days before my arrival. In the spirit of flexibility, a more relaxed cancellation policy is a huge bonus and can be a deciding factor if choosing between a handful of places to stay. Recently I booked two different accommodations for a vacation that, in the end, I did not take. 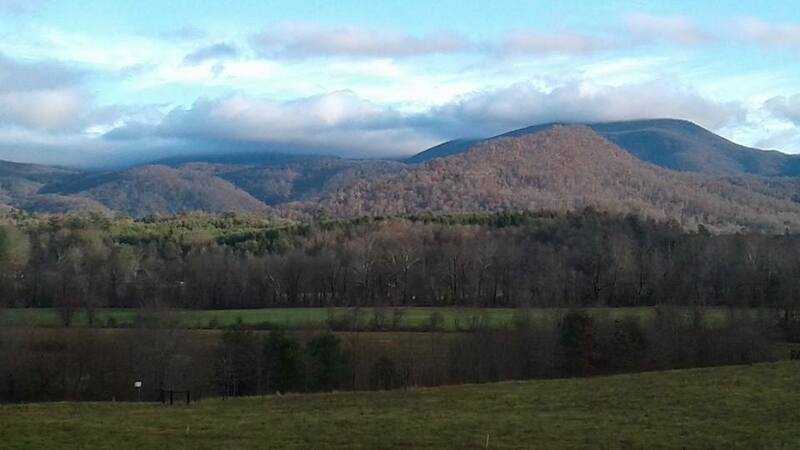 As I often do, I booked through Airbnb.com and found a couple of places I was really excited about. I checked their cancellation policies but unfortunately I looked at the information incorrectly and was misinformed. When it came time to cancel…I waited too long and was out a little more money than I expected. The best practice is to write your perspective host and ask specifically for the details of their cancellation policy to be sure you are correctly informed. When you are clear and understand the terms of the agreement you can make your choices accordingly. Then, if you need to fly the flag of flexibility, there won’t be any expensive surprises. Do you have any tips on flexibility and travel? Any great experiences or resources to share? Thanks for reading. It’s always good to hear from you! Another few weeks have slipped by in Paju, South Korea. 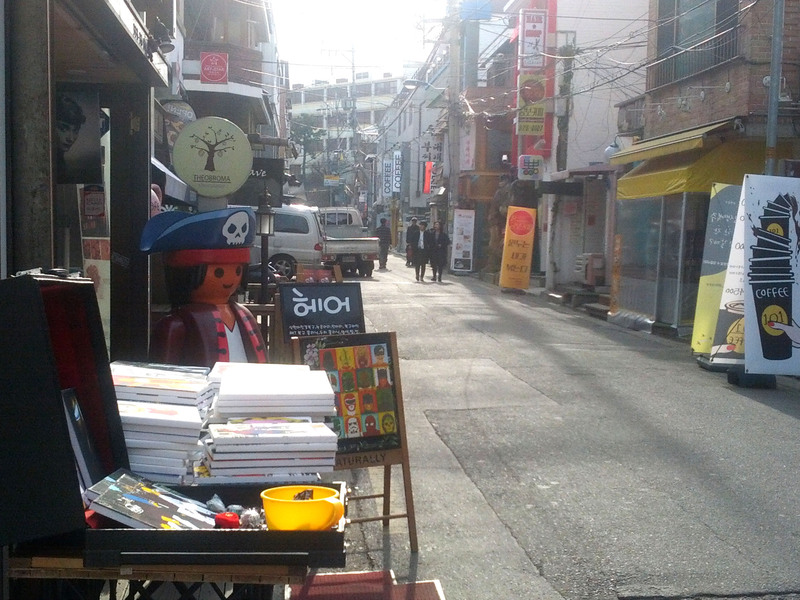 Mostly it’s life as usual in the unusual world of Gyeonggi English Village. This week the ROK Military joins us for a break in their busy routine and a big dip in the pools of the English language. The winter freeze is slowly melting away no thanks to an unexpected snow shower earlier this week. Nevertheless, Spring is still on the horizon. As many of us are finding our way out of winter hibernation, it seems like an appropriate time to share some money saving travel tips. Let’s begin with the basics for any good journey – an affordable flight. Finding the cheapest rate and best flight schedule is paramount for me in creating my trip itinerary. Tenacity is often your best friend when looking for the most suitable rate and flight. But here are a few shortcuts I’ve discovered to save you some time and money. Not all search engines are created equal. In the mission to find the best flight, I find it never hurts to peruse the gamut. There are, however, a few search engines that are my go-to sites in the adventures of flight finding. Let’s begin. Kayak. Kayak is a reliable search engine and a great starting point for a flight inquiry. They offer a wide array of airlines with a good selection of budget-friendly flights. You can choose a three-day date flexibility in their searching parameters allowing you to see rates and times on a variety of days. This is a great way to find the best prices as they can vary daily. Insanely Cheap Flights. I think the name says it all. I used this search engine to purchase my flight from the US to South Korea. On several occasions I have found them to offer the cheapest flight I could find. My flight to Korea was purchased and redeemed with no problems. I easily bought the ticket, was able to speak to a real customer service person when I had a question, and arrived in South Korea at a price I could afford. Cheap Flights from Europe. If you are in Europe looking to purchase a flight for the next leg of your journey, you must check out Condor Airline’s listing of their Longhaul Flights. Condor is a German-based airline with a regular listing of discounted flights leaving from Frankfurt International to all over the world. Cancun, Chiang Mai, San Jose, Lima… just to name a few. No matter where you are in Europe, you can easily catch a cheap flight to Frankfurt and then save big bucks on your long distance flight. I purchased my ticket from Europe to the States from Condor. I saved some money and was happy with the flight and service. Travelzoo. Have you subscribed to Travelzoo? If you haven’t you should! They provide regular emails with travel deals for destinations all over the world and their offers often include flight sales. I bought my first ticket from US to Europe through a flight deal I discovered through Travelzoo. Worth checking out! No matter where your next adventure may take you, some persistence and these resources will help you save some money and find that flight that best meets your needs. Happy travels… wherever you are going! Do you have any great flight finding tips to share? It’s always good to hear from you! Featured image a Spring snow shower at Gyeonggi English Village. It is the last few days of a generous break inspired by the Lunar New Year. While Korean families were busy cooking up a storm for the holiday, I was grateful for an extended vacation. I took myself on a little outing in Seoul and rented a studio for a few days. First, I have to share my excitement at my accommodation find. 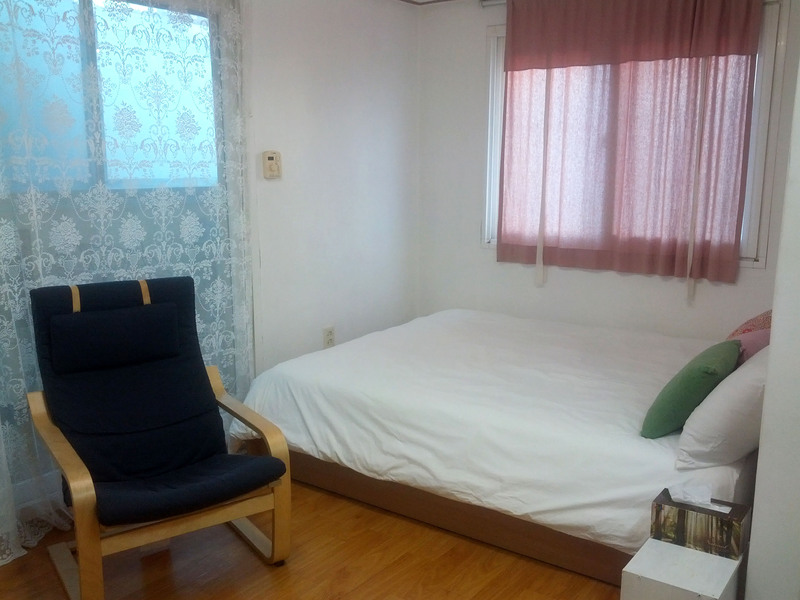 As hotel rates in Seoul are typically unfriendly to the budget traveler, I turned to airbnb.com. It is one of my favorite sites for exploring affordable and interesting places to stay anywhere in the globe. Airbnb is not your typical accommodation search. Its listings range from the colorful and decadent to the intimate and affordable. Airbnb hosts are regular people and families from all over the world with some extra space to share with travelers. There are options for any price range plus plenty of personal reviews from past guests to guide you in the right direction. After some persistent searching, I found a little studio apartment to rent in a charming neighborhood in Seoul called Hongdae. It was perfect for me. Private, clean and comfortable, small kitchen, moderate price, plus a great location and a secure building. To make it even better, I got an amazing deal. On top of the already fair pricing, I took a chance and did a google search for coupons for airbnb. You know what I am talking about, the cryptic code you enter at checkout that saves you money. And guess what, I found one! And even better, it worked! (as sometimes they do… and sometimes they don’t…) With the coupon, I saved $100 on my three-night booking. Quite a deal! While the viability of that coupon has already come… and gone, I do want to pass on some airbnb saving to you. Simply register for airbnb HERE (at no charge) and on your first booking you will automatically receive $25 OFF your total cost. Not a bad deal! As the Lunar New Year is a holiday that sends people out of the cities to be with their families, I enjoyed a few days of Seoul a bit more on the quiet side. It was easier to get a seat on the subway and at least some streets afforded a casual leisurely pace. While in Seoul I went to see the well-known and long running show, Nanta. The theater was in Myeong-dong, a busy shopping district. I had heard good things about the show from friends, but in truth had no idea what to expect. I sat in the intimate theater excited to simply have the treat of a new experience. As the lights dimmed and the show began, my heart leapt at the pleasure of the dramatic music and seeing bodies move and dance. Nanta, in short, is a theatrical performance running since 1997 inspired by the art of traditional Korean drumming. As Nanta is set in a comedic kitchen, rather than drums mostly, the performers use knives, and whatever else they can get their hands on for a spectacular drumming display. The performers were engaging and entertaining as their bodies, faces and percussion lured us in. It was a sold out show that evening and I’m glad I went to check it out. 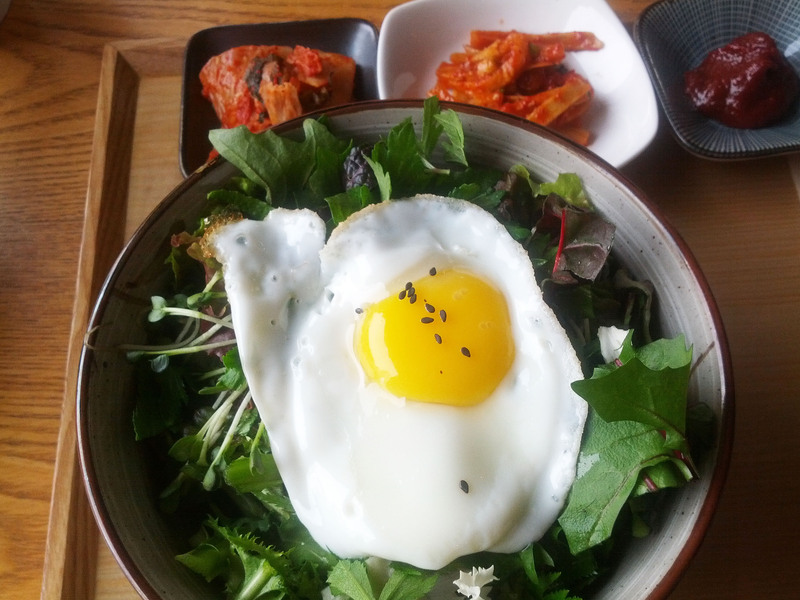 I did my best to feed myself while meandering in Seoul for three days. In earnest, it is not always easy. I am a sensitive soul and that includes the foods I eat, most notably sugar, which is in most Korean foods. I began with a few favorites. Lunch at Gusto Taco in Sangsu with a friend. Chicken curry at Khajuraho Indian Cuisine in Hongdae. I was determined to eat some Korean food. I asked for a recommendation at a tourist information booth and made my way to a fresh Korean restaurant. I tried something simple that I knew I could eat. Bibimbap. Traditionally, it’s veggies and an egg served over rice. If I don’t use the chili paste served with it, filled with sugar, I am good to go. When my food arrived, while the presentation was lovely, I was sad to see a plate filled with food I couldn’t eat. Soup, kimchi, and marinated vegetables all filled with sugar and not for me. What was left? Some rice, greens and an egg. While not a unpaletable meal, a bit less than what I had desired. And so it goes. I enjoyed my time in Seoul but afterwards was also content to get back to the quiet hills of Paju. When I returned home I was distraught to discover that I left the charger for my computer at the apartment in Seoul. I contacted the host of the studio and was relieved to hear it was there. I needed this right away so I made the unwanted trek back to Seoul to claim my charger. When I arrived the host was there preparing the room for the next guest. A young Korean woman working full-time in marketing and running this as a side-business, she couldn’t have been friendlier. 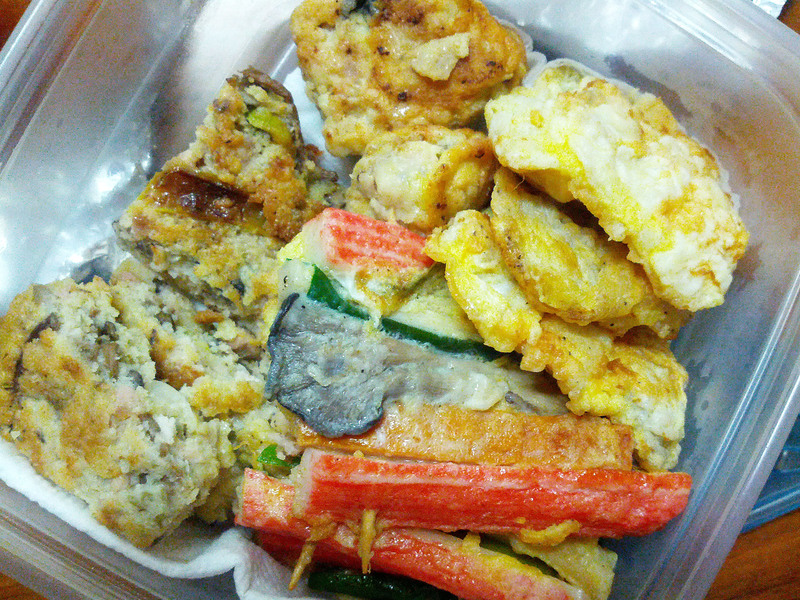 She brought me some traditional Korean food that she and her mom had prepared to ease the pain of my unexpectd return journey. It looked delicious and lucky for me, most of it was no sugar added. Connecting with her and receiving her gift made the trip back a bright spot in the day. When I returned to Paju the second time I was surprised to see a parade of people and cars at the cemetery just up the street from English Village. As is tradition for the Lunar New Year, they were there honoring their ancestors. It was so crowded that there was a professional in the middle of the road directing traffic. But I am home now, in my comfy English Village apartment. Soon I will be easing back into work life. It’s been a great week. Explorations in Seoul. Connections with a few friends and new connections. Plus some laid back time on my own. How about you? Any great travel stories, ideas or deals to share? It’s always good to hear from you! Good-bye for now from the dwindling vacation days at Paju English Village. It’s a Sunday morning here in Paju City, South Korea. The weather is creeping into summer as the temperatures are tipping into the upper 80s. That didn’t take long. Yes, it is June, typically nearly summer weather in some parts of the world. But it seems that winter just recently… ended. I could swear it was just a few weeks ago that I confidently tucked away my winter coat for good and took an extra blanket off my bed. It was not long ago that I finally unplugged and put away my room heater. And here we are greeted with summer weather. I am told the heat and humidity here will give New Orleans, my former stomping grounds of 13 years, a run for its money. We will see. When I lived in New Orleans my last job was working at an outdoor farmers market. During New Orleans summers the heat and humidity is like a wall. At the market we would sit there with towels dipped in florida water, a cool refreshing cologne water, hung around our necks and try not to move while the sweat rolled down our foreheads. Hopefully the summer in Paju is not that bad. With summer weather comes summer wardrobe. We have a pretty laid back dress code here at English Village and really we are quite lucky to have such a casual atmosphere. We can wear shorts and tennis shoes and sandals that are at least a little dressy and have a back strap. We cannot wear sleeveless shirts or tank tops which seems reasonable for work life. I am still exploring what is appropriate summer dress in general in South Korea. Wearing tight tank tops that reveals shoulders and skin, a summer staple for me, may not be considered appropriate in regular public life. I asked a fellow teacher about this and she suggested that some girls in the city wear tank tops but it’s still not all that common just yet. You often see girls and women wearing a very light almost see through cropped cardigan over sleeveless dresses and shirts. Still learning the nuances of culture. It’s been a pretty light teaching week here at English Village, although myself and some other teachers are still busily preparing new lessons for the upcoming “semester”. This week we have several different programs including a group of young Russian children here for two weeks. I am not one of their “regular teachers” but did have the opportunity to teach them for one class last week. They range in age from about 9 to about 13. They are a great bunch of kids with spunky spirits. But they can, as other teachers have noticed, push the boundaries. They are fiestier than the Korean students we have in a way that is both inviting and challenging. When I arrived in the building to teach them on Friday, four of them were downstairs making a train with rolling desk chairs pushing them around the room. When I arrived in the classroom upstairs students were drawing pictures on the board during the break, some nice and some… not so nice. It was quite a first impression. We spent about an hour together playing a game and while the time did have some ups and downs, generally it went well. I teach them a few more lessons on Monday and Tuesday. We had an interesting staff experience on Friday afternoon…. Korean Village. Yes, all of the English teachers at EV attended a class taught by a Korean teacher using Korean language only. The idea as you can imagine is to give us a sense of how some of our students may feel when in our classes taught only in English. The question this rose for me was “Don’t our students have years of training in English when they come to us?” That answer…some, yes, but as it turns out not all. Undoubtedly we see a range of English-speaking skills here from practically fluent to barely any English at all. But I had always assumed that their training had tucked away some English somewhere and perhaps they were just shy about speaking it or uninterested. But apparently this may not be the case. It seems that economic level does play a part in students English-speaking exposure and participation in quality English lessons outside of the “regular school day”. Also I was told that some students in public schools take little interest in English and are allowed to slip through the cracks. So its possible that we get students who really understand and speak almost no English. This is new to me and certainly puts a slant on trying to teach English in English. I spent my Saturday in Seoul. I visited my chiropractor and am happy to report that after a fall in France a year ago, my ankle seems to be getting better. 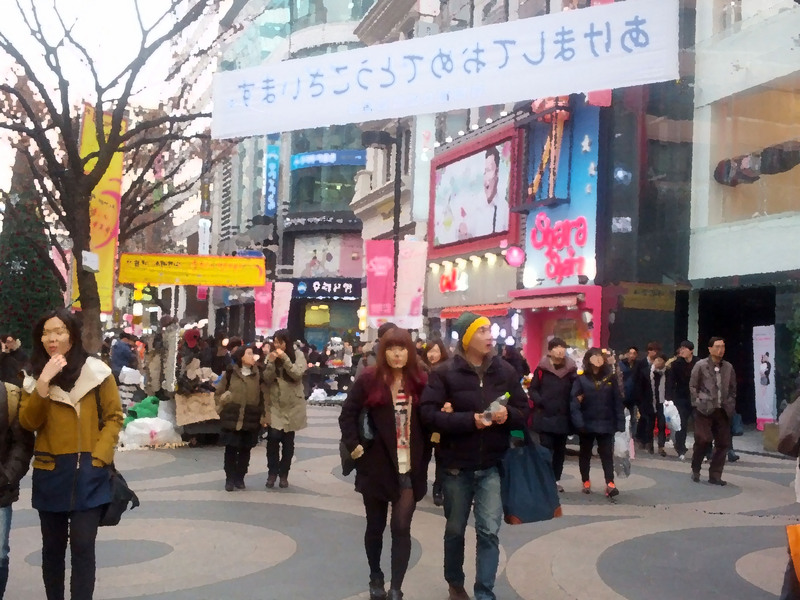 I went to an area of Seoul called Hongdae, a lively neighborhood near Hongik University. My favorite taco stand is there, Gusto Taco. I grabbed two delicious fresh chicken tacos, complete with hand-made corn tortillas and soaked in a little of the international atmosphere. There were customers from S. Korea and the US, a Spanish-speaking couple, an American owner, and French radio streamed over the internet. It was love. While in Hongdae I also saught out one of the few thrift stores in Seoul and South Korea called The Beautiful Store. As noted by other visitors and explorers of South Korea, Koreans aren’t really into buying used clothes. And so the thift store scene is not too grand. But The Beautiful Store, a local chain, has locations all over Seoul and their proceeds go to charity. If it wasn’t for the help of a nearby friendly Korean-American, however, I would have never found the store. I exited the subway, exit 8, and began to scan through my maps and information on my smart phone. Seeing my lack of clarity with a friendly voice she introduced herself and asked if I needed any help. Fortunately for me, she speaks Korean and is able to navigate her ways through the maze of symbols and words known as the Korean language. With just a little misdirection, some guidance from her smart phone, and her knowledge of Korean we found the store just steps away from the train station. The store sign is written in Korean so it wasn’t visible to my English reading eyes. Take the subway to Hongik University Station exit 8. When you arrive at the top of the stairs, look to your right. There is a building with a door at the corner of the street. Enter that door and go downstairs. The shop is on your right. Today is a simple Sunday for me. I intend to enjoy a little luxurious walking in the still fairly mellow summer heat, run a few errands, and do a little cooking for my upcoming work week. I believe I have another lighter teaching schedule for the work week ahead, much needed after so many crazy weeks and more to come in the future. Good-bye for now from the slowly becoming balmy land of Paju! Photo at top a quiet evening at English Village at sunset. It’s a quiet weekend here at English Village in Paju, South Korea. It’s Easter Sunday and as I am at work today… and in South Korea…its presence constantly escapes me. I am working my last weekend shift of a two month rotation. It is nearly April in Paju and I am still wearing my long winter coat and scarf. I am longing for the days when Spring has fully arrived but I am reminded that the heat and humidity of Paju summers are not far behind… and then there’s monsoon season. Lately conversations can turn to the threats of war from North Korea. While teachers, myself included, are paying attention to North Korea’s headline making threats and actions, there seems to be a sense of concern but not a feeling of panic or urgency. Recently one of our head teachers at English Village, a Korean man, addressed the issue at a staff meeting. He wants to help keep us informed and he shared his belief that North Korea is simply reacting and offering threats as is their history in the past. So for now, I suppose I am like many other English teachers in Korea and South Koreans – paying attention to the situation, but also not getting lost in the fear of it. Work this weekend is pretty simple for me. The weekend teaching staff at English Village tends to any special camps or students visiting for the weekend as well as the general visiting public. The last few weekends, today included, I have been teaching an English game for the general visiting public called “Compound Words”. It is a simple game. There are two pictures and each picture represents one word of a compound word. The first team to guess the correct compound word gets a point and the team with the most correct answers wins. I have found that children and adults alike enjoy it. They stay for about 20 or 30 minutes or so and laugh and play and guess. Sometimes the parents help the children answer in English and… sometimes the children help the parents. It’s amazing to me sometimes to see a very young reserved Korean child come up with a correct answer much to my and often their parent’s surprise. Last night I took my first try at gluten-free baking in my new to me Korean toaster/convection oven. As I can’t eat refined sugar and do my best to stay away from gluten, but still love sweets… my last few months surrounded by the candy, sweets and baked goods among English Village staff and students has been challenging. Finally an opportunity to make something a little sweet for me. What was on the menu? Brownies! It couldn’t have been easier! With a base of almond flour and sweetened with honey, they turned out sweet, moist and chocolatey. Just what the doctor ordered! Here is the recipe! I couldn’t wait – I ate one! Earlier this week on my day off I made my way into Seoul. The mission? Yoga! I have been practicing yoga both independently and in classes for over 8 years. It has become a mainstay in my life and a practice I use to feel at home no matter where I am in the world. After being in South Korea for over three months, I have found just a handful of yoga studios in Seoul that offer classes in English. Much of the yoga in this area is what’s known as Hot Yoga, a series of yoga postures done in a heated room. This type of yoga has not been my practice and does not appeal to me… and so the search continues for a yoga class. After some persistent google searching and communicating with a studio via email, I finally decided to make the trek to a class this past week in Seoul. Door to door it was about a two-hour journey. The commute was longer than I expected and I arrived about 5 minutes late for class. When I finally arrived I found a Korean teacher with a class full of Korean students. I was surprised because I sought out this studio and class particularly because they offer classes in English. Irregardless I made my way in and laid out my mat as I heard the Korean instruction. The teacher was very friendly and asked me if I spoke Korean. I shook my head no. I thought perhaps I could make the best of it. “Perhaps I could follow along?” I asked hesitantly. The kind teacher looked at me with a less than optimistic look. She suggested I try another class taught by one of their English teachers. Respectfully, I rolled up my mat and left the studio. And so the search for yoga continues. I am grateful to have my own personal practice of yoga that I can take with me no matter where I am. Even here in English Village I have had the opportunity to share some basic yoga with the other English teachers. I was even invited to create a simple yoga lesson that can be done with Korean students in classes at English Village. Its a Powerpoint guided lesson that has a series of videos showing simple yoga moves that can easily be done in the classroom. I received some positive feedback on it from a fellow teacher who tried it in his class. They had some extra time and felt the students needed some physical activity. He said the yoga lessons met the needs of something physical for the students without getting them too “excited”. After the class he said they were in a better place to sit down and participate in the rest of the lesson. That’s great! 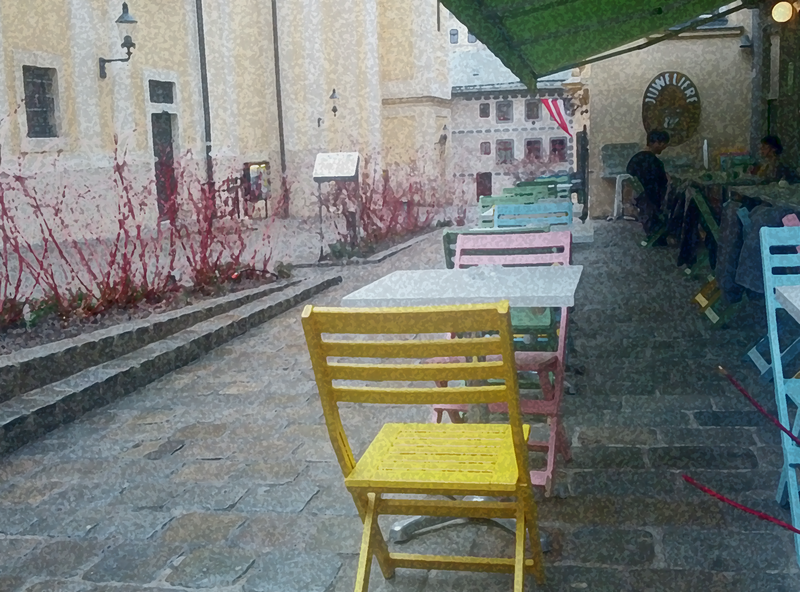 And so as this day comes into full play, I find myself in unconventional Easter surroundings. I will spend my Easter in South Korea teaching young and old alike about compound words. And later tonight, a little sweet treat and a restful evening as I prepare for the busy work week ahead. It’s a good Easter in my new surroundings, appreciating the little things that make life sweet. How about you? How did you spend your Easter Sunday? Any sweet memories or recipes to share? Top Photo – a taste of the sweet life. Gluten-free honey sweetened brownies prepared in home-sweet-home in Paju City, South Korea.